A Thought for Every Thursday – How far are you willing to believe? Welcome to the latest installment of my new weekly series, A Thought for Every Thursday. Every Thursday I’ll pose a question (or several) regarding a specific current event, a modern moral issue, or a philosophical conundrum. Instead of answering it myself, I’ll look to you for the resolution. Human beings experience some pretty strange phenomena. Things like déjà vu, synchronicity, placebo effects. Despite the belief (or hope) that these effects are spiritual or otherwise outside the realm of explanation, most of them have causes rooted in science. A few phenomena exist that have yet to be fully explained. Things like ghosts, past-life memory, ESP. These things don’t really exist. People make them up. These things do exist, but have scientific reasons we’ve yet to find. These things do exist, but have causes outside the realm of science. Which one do you think is most likely? Past A Thought for Every Thursday entries are right here. If you like these kinds of questions, try these on for size. If you prefer something gentler, go here. 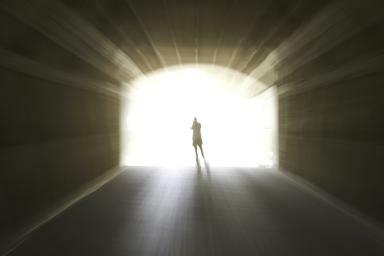 Tagged Are ghosts real?, Extra sensory, How do I know?, Past life regression, Placebo effect.